It has been announce that, after Episode IX: The Rise of Skywalker, Star Wars films will be going on a break. What does this mean for the new films already announced to be directed by Rian Johnson? What about the other movie series from the Game of Thrones show runners David Benioff and D.B. Weiss? Is this just a great way to make room for all of the Star Wars series coming to Disney+? The LTASW crew answer these questions and many more on the latest episode. Let's Talk About Star Wars is on Patreon! If you'd like to support the trio head on over to Patreon.com/letstalkaboutstarwars. If you would like to send a message to the crew you may do so using feedback@letstalkaboutstarwars.com. Star Wars Episode IX has finally been revealed. The Rise of Skywalker hits theaters this Christmas and thanks to Star Wars Celebration 2019, we have our first teaser trailer. Join Garrett, Jennie, and Tom as they not only revive their Star Wars podcast in a new weekly format, but break down every moment of Episode IX’s first trailer. Garrett, Jennie, and Tom are back from the holiday break with a brand new episode of Let’s Talk About Star Wars! Since they last recorded Pedro Pascal and many more have been attached to The Mandalorian, EA canceled its open-world Star Wars game, Galaxy’s Edge got a trailer, a Vader fan film went through many trials and tribulations, and the podcast crew is still struggling to get into Resistance. If you would like to send a message to the crew you may do so using feedback@letstalkaboutstarwars.com. Definitely send your theories for where Star Wars will go after TLJ. Let's Talk About Star Wars #32: "Experiencing Some Resistance"
Resistance is out and the Mandalorian has been announced. 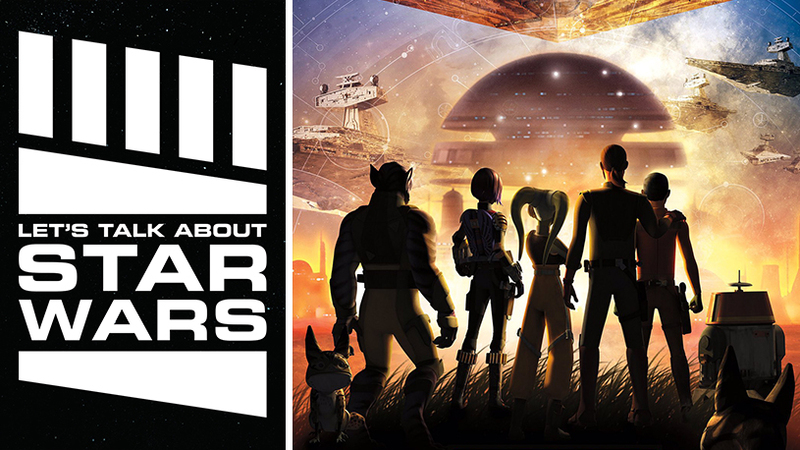 Jennie, Garrett, and Tom talk first impressions of Star Wars’ latest animated series, hype for the first live action series, and also Chuck Wendig’s recent firing from Star Wars writing. 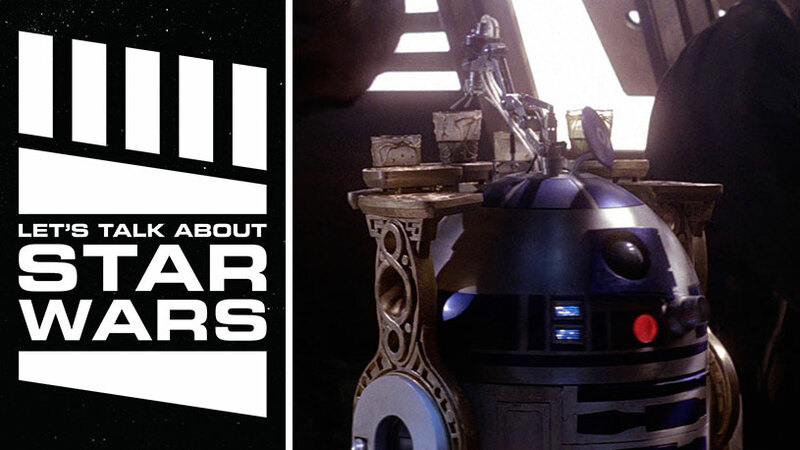 Let's Talk About Star Wars #31: "Drinking with Droids"
Resistance gets its first trailer, the Doctor is going to be in Episode IX, the cantina at Disney will serve your kind, and alliances must be decided on in this month's Let's Talk About Star Wars! Let's Talk About Star Wars #30: "Clone Wars Saved"
Let's Talk About Star Wars is back because so is Clone Wars! Garrett, Jennie, and Tom talk about Clone Wars returning for a proper final season, Episode 9's surprising casting announcement, and more Rey theories! Let's Talk About Star Wars #29: "Solo: A Star Wars Story"
Let's Talk About Solo: A Star Wars Story! Jennie, Garrett, and Tom are all here to dive deep into the latest addition to the Star Wars galaxy. Spoilers ahead! Let's Talk About Star Wars #28: "Solo: I've Got a Feeling About This"
Solo: A Star Wars Story has a full length trailer, The Last Jedi has come home in both book and video, and the Director and the Jedi has been consumed. Join Jennie, Garrett, and Tom as they try and digest a wealth of new Star Wars additions. Let's Talk About Star Wars #27: "God Speed Rebels"
Star Wars Rebels has ended and it must be talked about! Jennie, Tom, and Garrett go through many of their thoughts, questions, and hopes for future animated series. Let's Talk About Star Wars #26: "Solo: A Star Wars Story Teaser(s)"
Jennie, Tom, and Garrett are back to talk about Star Wars! The first teasers for Solo have released. Where is this movie taking us? Will the Falcon stay so clean? Is it a western? A car movie? A heist film? Join the crew as the try to figure it out. Let's Talk About Star Wars is on Patreon! If you'd like to support the trio head on over to Patreon.com/letstalkaboutstarwars. LTASW is closing out 2017 with two episodes a month. If you'd like that to be the norm the new goal is for more episodes! Let's Talk About Star Wars #25: "The Last Jedi"
The Last Jedi has been seen seven times between the three hosts of Let's Talk About Star Wars. Jennie, Garrett, and Tom have spent far too long watching, thinking about, and writing about the movie and it's time for them to sit down in front of the mics and share their thoughts. Consider this your warning, spoiler alert! Let's Talk About Star Wars #24: "The Last Theories"
We are five days away from the release of The Last Jedi. The only proper way to celebrate is for one last big theory dump on Let's Talk About Star Wars! Jennie, Garrett, and Tom share their last minute hopes for the movie and bring in one last batch of listener theories as well. Let's Talk About Star Wars is on Patreon! If you'd like to support the trio head on over to Patreon.com/letstalkaboutstarwars. LTASW is closing out 2017 with two episodeas a month. If you'd like that to be the norm the new goal is for more episodes! Let's Talk About Star Wars #23: "Unlimited Spoilers! - Rebels & Phasma"
Let's Talk About Star Wars before Thanksgiving! Garrett, Jennie, and Tom are back for a spoiler-filled bonanza. Rebels has reached the mid-season finale of its final season. The trio talk their theories about the Ghost crew's destiny. But they don't stop there. All three hosts have also finished Delilah S. Dawson's novel, Phasma. So, of course there's a spoiler talk to be had about what turned out to be a special addition to the Star Wars galaxy. Let's Talk About Star Wars #22: "A New Trilogy"
Let's Talk About Star Wars again! The whole trio are back because there's a disturbance in the Force. As if millions of voices suddenly cried out in excitement at the announcement of a new trilogy and live action series. That's right, on this episode the LTASW crew talks over the news that Rian Johnson will be at the helm of a new Star Wars trilogy and what they'd like to see from it and the upcoming streaming series. There's also some chatter about the Battlefront II controversy. Let's Talk About Star Wars #21: "The Last Jedi Trailer"
It's time for another outing with Jennie, Tom, and Garrett. What could they be talking about this time? Oh that's right! The Last Jedi trailer has released and somehow that warrants an hour long discussion. 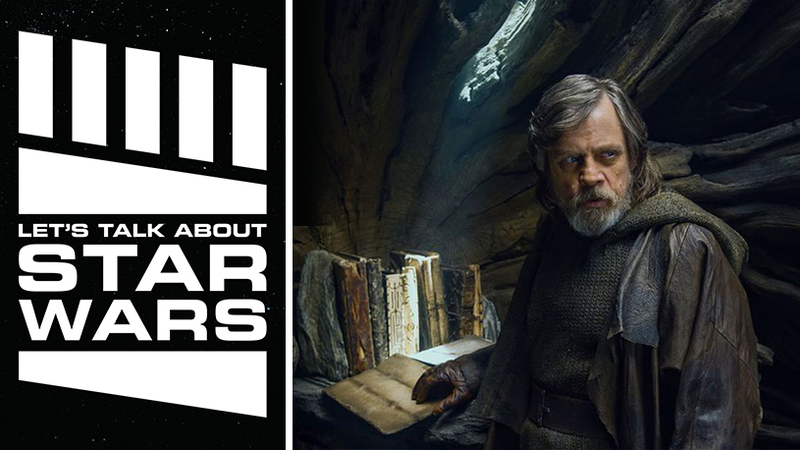 Grab your porg plush, your replica lightsaber, and Let's Talk About Star Wars: Episode VIII The Last Jedi trailer! Let's Talk About Star Wars #20: "You may fire when ready"
Jennie, Tom, and Garrett are reporting in for fresh new episode of Let's Talk About Star Wars. This month Colin Trevorrow left the Episode IX production, J.J. Abrams is stepping back into the director's (and writer's) chair, the Phasma novel has all three hosts enthralled, and Garrett has his Star Wars world view shattered. Let's Talk About Star Wars is now on Patreon! If you'd like to support the trio head on over to Patreon.com/letstalkaboutstarwars. Let's Talk About Star Wars #19: "Walk the Obi-Wan"
An Obi-Wan film is all the buzz and Jennie, Tom, and Garrett are adding to it. 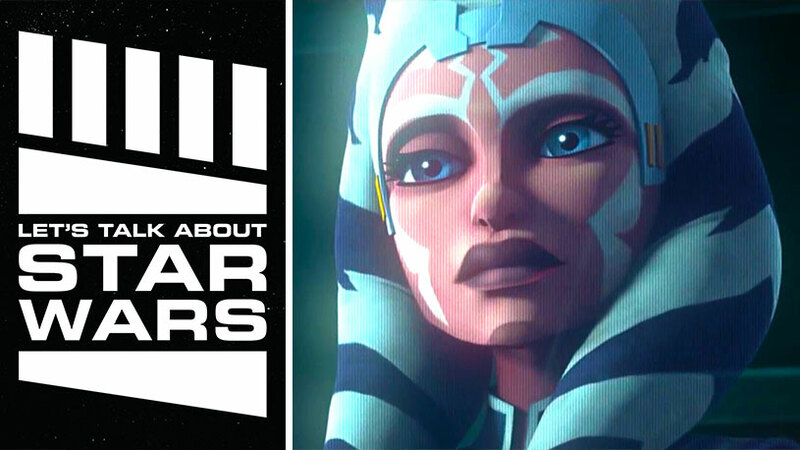 The Star Wars trio talked through what a perfect Kenobi film would be for them as well as the Entertainment Weekly article, new Star Wars games on the horizon, Garrett's Thrawn trilogy speed bump, and an email from the community about the future of Ahsoka. Hey, that last episode was fun so Let's Talk About Star Wars again! Jennie, Tom, and Garrett dove deep into each frame that excited them silly from the new Last Jedi Behind the Scenes short. But that wasn't the only Star Wars awesomeness unveiled at D23. Disney also showed a more detailed preview of the Star Wars addition to the Disney parks, Galaxy's Edge. It's time for another LTASW and the whole trio has returned after a slew of travel. Garrett is reading the Thrawn trilogy for the first time, Jennie is concerned about how much The Last Jedi has to prove in a year with so many great movies, and Tom keeps putting Tarkin down. The crew also talked Colin Trevorrow shooting extra footage for Episode IX, the lack of a Last Jedi trailer at the upcoming D23 conference, Forces of Destiny, Battlefront II, and all of the happenings on the set of the Han Solo film. All three hosts have finished the Aftermath trilogy so this episode of Let's Talk About Star Wars has a spoiler chat towards the end. Before that though Jennie, Tom, and Garrett talk Snoke theories, Vanity Fair's Last Jedi photo shoot, Rian Johnson's comments on Disney's involvement in Star Wars, the Cassian and K2SO one shot, and much more.